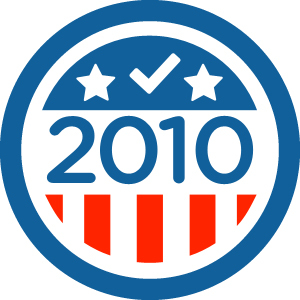 I Voted Badge for Foursquare Has a Local Touch! Hey there everyone! Jerm here with a cool update about a nationwide movement that has a bit of a local touch to it! The fine folks over at Foursquare have partnered with a team of experienced political strategists, designers and activists to release the official "I Voted" badge in conjunction with launching a real-time visualization of check-ins for Election Day. Pretty cool huh! One of those such peeps is Tampa&apos;s own Jordan Raynor, and his team at Direct Media Strategies! This joint effort encourages voters to check-in at their polling place and share that they have voted with their friends through social media. Including the text #ivoted in their polling station check-in will unlock the badge. "For the first time ever, voters are going to show up to their workplaces on Election Day wearing their physical I Voted sticker and their co-workers will have already seen their virtual I Voted badge on foursquare, Facebook and Twitter," says Jordan Raynor, President of Direct Media Strategies and Founder of the popular Twitter petition on Act.ly which fueled the community drive for the I Voted badge. This is pretty cool folks, so be sure to check out the Elections.FourSquare.com website for more info, or click here to see the news release from PR Newswire! Just gives some insight into all of the bright people and ideas that come right out of here in the bay area! Congrats to all of the people involved in this effort! That&apos;s all for now, but be sure to stay tuned in for more updates on Tampa Bay area events and things to do in Tampa Bay!